The availability of preimmune libraries of antibody fragments allows for the fast generation of binders which can be expressed in both eukaryotic and prokaryotic systems. We exploited the recombinant nature of antibody fragments to demonstrate the possibility of expressing them as functional proteins displayed on the surface of Escherichia coli and by such a way to generate living reagents ready-to-use for diagnostics. 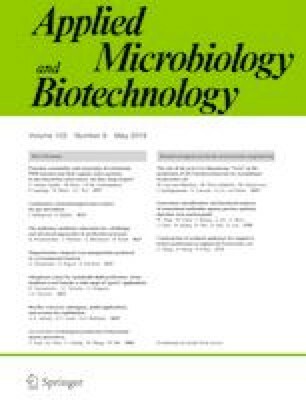 Such immunoreagents were effectively exploited without the necessity of any purification step to prepare immunocapture surfaces suitable for the diagnostic of both cancer cells and toxic microalgae. The same nanobody-displaying bacteria were also engineered to coexpress GFP in their cytoplasm. Suspensions of such living fluorescent immunoreagents effectively bound to eukaryotic cells making them visible and quantifiable by flow cytometry analysis and using 96-well plate readers. The collected data showed the suitability of such living immunoreagents for reproducible and inexpensive diagnostic applications. The online version of this article ( https://doi.org/10.1007/s00253-019-09823-x) contains supplementary material, which is available to authorized users. The authors wish to thank Alfred Baran for having provided the microalgae strains. This work was supported by the grants ARRS/N4-0046 and ARRS/J4-9322 provided by the Javna agencija za raziskovalno dejavnost Republike Slovenije.